In the 1913 book, Our Southern Highlanders by Horace Kephart, chapter VI offers a detailed sociological and technical look at moonshining in the Great Smoky Mountains. This section of Appalachia, taking in parts of North Carolina and Tennessee, featured largely in the book as Kephart lived there for years doing his ethnological study. It is remembered to this day as a pioneering examination of Appalachian culture. This culture stretched from western Pennsylvania, where the bulk of the Scots-Irish first settled, down the mountains southerly through parts of Kentucky, Tennessee, North Carolina, Virginia, Alabama. While Pennsylvanian Germans, the French, a sprinkling of southern Irish, and English people were part of the ethnic mix in Appalachia, the Scots-Irish have long been identified as a prime contributor to “mountain culture”. This was shown conclusively in Albion’s Seed (1989) by Thomas David Hackett Fischer, a landmark study of the four major British groups who settled in America and established the bedrock elements of its society and culture. They were the Scots-Irish, East Anglians, Northern English (e.g. Quakers), and London/Southern English. These groups, while exhibiting many differences in culture, social-occupational status, and religion, also shared certain important traits, notably the English language, Protestantism, and the mercantile spirit. Whiskey was regarded as a medicine and also something to trade for ready cash. Kephart describes well the eternal tussle the moonshiners, called blockaders in his part of the south, had with the revenuers, the government agents charged with stopping illegal distilling. There were two types of distillers in the mountains: large-scale operators who often bribed low-level government employees, and what we would now call independents, hard-scrabble farmers looking to make extra coin and have a jug for their families. He describes the latter as unsentimental people, using nothing more than their wits in the cat-and-mouse game with the Revenue, and sometimes paying the price with a spell in the penitentiary, which they accepted stoically when necessary. Kephart points out whiskey was a luxury even in the mountains – most people got to drink it only once or twice a month, and its use as a medicine tended to ensure it wasn’t abused. He recounts what today sounds a terrifying practice: giving spoonfuls to babies. One informant reported to him that if whiskey is about and the child got none, “she just raars“. Kephart describes carefully the way these blockaders made their whiskey. I am glad I read it at the tail end of a process of reading about artisan manufacture of whiskey in Kentucky, as it ties beautifully into it. The rudimentary methods of the early Kentucky distillers, what they did to make hand made sour mash whiskey, is essentially what Kephart describes. Kephart states that once made into beer ready for the still, the “sweet mash” became “sour mash”. This is a correct statement but quite compressed. What he clearly meant was, as we have seen from numerous descriptions of early commercial distilling in Kentucky, once a still is run, you have backset, the spent beer from distilling out the alcohol, to mash the next batch with. There is a perfect accord between Kephart’s 1913 mountain description of moonshine or blockade whiskey and numerous accounts of 1800s-era commercial sour mashing. * I am well aware that many families associated with distilling in Kentucky are of English Catholic origin. Distilling cannot be solely associated with the Scots-Irish (aka Ulster Scots). But my reading of history shows them to be of significant influence in what was originally a folk practice and later a commercial activity in Kentucky and elsewhere in the south. 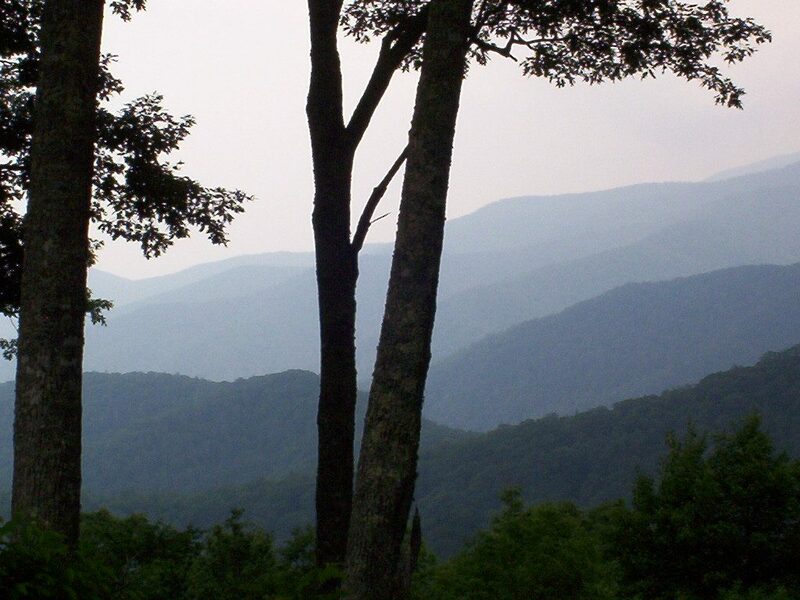 Note re image: the image shown of the Great Smoky Mountains is in the public domain and was sourced here. It is believed available for educational and historical purposes. All feedback welcomed. The author of Albion’s Seed is David Hackett Fischer, not Thomas. Great article, thanks! Yes, you are right of course, thanks for the correction! I’ll make the edit (stroke-through). Thx again.